Basement Systems Edmonton provides crawl space services of all types throughout the area, including flooded crawl space repairs in Alberta. We proudly serve Edmonton and areas nearby, including Kitscoty, Wainwright, Cold Lake, Conklin, Edson, Elk Point, Grand Centre, Rosevear, Edgerton, St. Paul, Vermillion, Bonnyville and other nearby areas. At Basement Systems Edmonton, we also recommend installing SmartPipe™ around the inside perimeter of your crawl space. 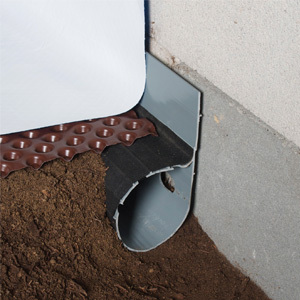 SmartPipe™ is the first custom-engineered crawl space drainage system designed just for crawl spaces. With five rows of drainage holes covered with a clog-resisting filter fabric, SmartPipe™ is specially designed to collect crawl space groundwater and direct it to the sump pump system. Even when your crawl space has no standing water, it can still have damp conditions. Humidity and water vapor will continually enter a crawl space through concrete and dirt surfaces. 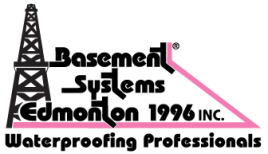 At Basement Systems Edmonton, we provide the CleanSpace® Crawl Space Encapsulation system, including our 20-mil thick crawl space liner that's warrantied for 25 years. If you would like a FREE, no-obligation estimate for a dry crawl space, we're ready to help! Call or e-mail us today to get started!